Over the last 20 years I’ve had to write an Opening Speech for hundreds of large events where I have been engaged as the MC. Some have been relatively easy, while others have required many hours of effort and thought. Rather than reinvent the wheel each time, I now have a 3 Part Formula or Process I always follow. This both saves me time but also ensures that all the elements of a great opening speech are there. I like to cook when I’m at home and in many ways putting together a great Master of Ceremony opening speech is like cooking a great meal. Firstly you have to understand what you are trying to make, then the ingredients you are going to use and finally, how you are going to combine them! We are going to dive in deep into each of those areas but I hope you can see how the metaphor works. Understanding the outcome you are aiming for, the why, is important because your role as an MC is to help your client achieve their aims for the event. If you are not aware of those aims you could in fact hinder the process with ill considered comments or wrong emphasis. To go back to the planning of your meal, are you making sandwiches and finger food or designing a 5 course sit down banquet? Secondly, while the ingredients of each opening may sometimes be very similar, often, like a good cook, you can substitute different things. You might change the spice to create a slightly different flavour or double the amount of another ingredient to add more kick or emphasis. And lastly you can combine those ingredients in different ways. Some elements work better going in early, sometimes just a pinch near the end is all that’s required. Why is this Happening and What are you trying to Achieve? Preparing a great Master of Ceremony Opening Speech. 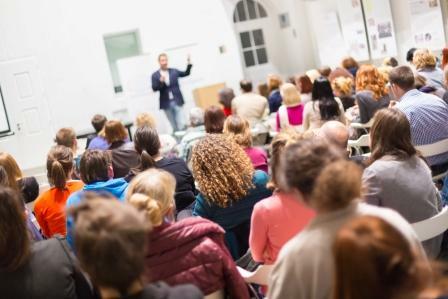 It’s unlikely that you are the organiser of the event itself, though this formula is just as useful if you are and are writing your own opening speech. 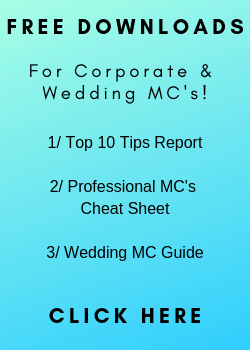 In most cases as an MC you will have an organiser, who is then your client. This is the person who has asked you to be the MC. It could be a business owner, CEO, your headmaster, the President of the Association etc. They have specific reasons why this event is taking place and it is your job to ascertain what they are. In every situation you want to have a briefing session with this person either face to face or over the phone. This Briefing of course will cover your involvement in the whole event, but in this article we will just focus on the Opening. 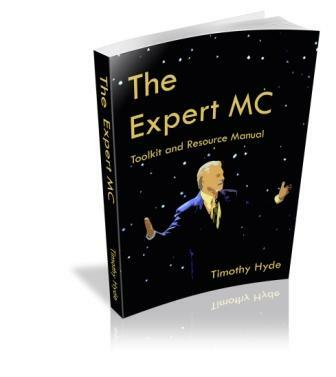 Pro Tip – Check out the full list of Briefing Questions on page 102 of the Expert MC Toolkit & Resource Manual. 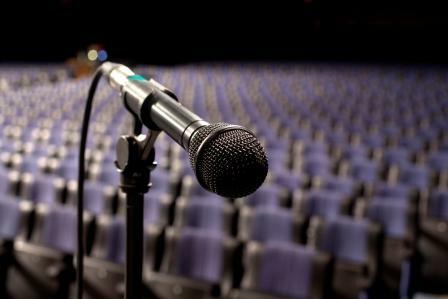 Knowing “why” the event is taking place will get you firmly on the right track to writing a great opening speech! 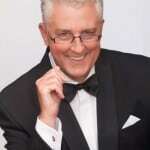 Is it a Celebration, an Information Night, a Product Launch, Team Building or an Awards Night? And don’t take a simple answer like “oh, we have it every year” as an answer. Drill in a little deeper. The next question will open it up a bit more. Building on the “why” question, I usually then ask … “how do you want the audience to Think or Act after the event?” This can be immediately after or when they get back to work etc. Are they trying to motivate the audience to do something or get them to meet lots of new people. Are they making them more confident about their jobs or are they wanting them to sign up to buy something? Are they gearing up the audience for some hard times ahead? Is there an actual Theme or Slogan for the Event? We have written about this before but this will give you big clues about what to say and possibly what to wear for the event. 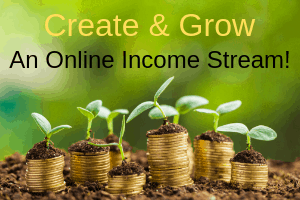 Once you have some of this Big Picture stuff sorted, it’s time to get onto the nitty gritty. Now, sometimes these finer details won’t be known at the time of the briefing, but at least they have been flagged as something you need to know. You obviously need to have a firm idea about the length of time that you are aiming for in an Master of Ceremonies opening speech. Pro Tip – It’s always good to try and get a longer time allocation than you need or that you will write for. This allows some immediate flex time. If the event starts a little late, and it inevitably will, those extra couple of minutes you asked for may put you back on track. Are there any official protocols that must be included? In some countries and with some cultural groups, a Prayer is included at the start of formal proceedings. The National Anthem might also be sung. Here in Australia many groups have an Acknowledgement of Country at the start of the event, a short few lines recognising the Traditional Owners of the Land. I use this term to incorporate other things that also must be mentioned in your opening. The more formal an event the more specific you will be. VIP Guests, Dignitaries etc will probably be mentioned by name in a specific order. Depending on the type of event, Sponsors my also get a mention here. Once you know what your client wants or expects, you can then start crafting the opening. “Housekeeping” is a widely used term that covers all the small bits and pieces of information that may also need to be conveyed to an audience. Now, depending on the type of event it is, you may not need to go through all the House Keeping in your opening speech. I prefer to do it a bit later as I find it dilutes the impact of the opening a bit. In that situation, just mention the Phones before you introduce the first speaker and come back to the Housekeeping after them. For example you might be launching into a facilitated Teambuilding or Networking session, in which case you will be building the energy and fun. Alternatively, you might be introducing someone speaking on a sombre or serious topic that needs focus and respect. Now we have the vital information – what we are trying to achieve and what must be included. It’s time for the third part of the formula, putting it all together. This works just as well if you have only 3 minutes or if you have 15. Let’s look at it in more detail. Getting peoples attention and interest right from the start is vital. You need to confident and assured in your dress and demeanour and your words need to match. It’s not a time for chit chat or repartee. Bang, get straight into it! Her advice for speakers is to start with something bold, a phrase or sentence that grabs attention and interest. I think the advice works just as well for MC’s as it does for speakers. Did that get your attention? Did you want to know what happens next? Of course you do! After the quick story, (that relates totally to the WHY they are having the meeting,) you can then move into the welcome and greeting. Remember also the Voice of God introduction. This will also grab peoples attention and let them know your name! It also enables you to move into something more meaty at the start. You now move onto the Big Picture. This will emphasis the Theme of the Event and Why are you all here. This sets the context for everything to follow. You may mention a couple of highlights of the program coming up, the Who and the What. I then like to move from Big Picture to the Personal. So what I’m saying relates directly to each and every attendee. Now, what is included here depends once again on what the client wants for the outcome of the event. Are you motivating and enthusing them? Are you planting seeds that they will get lots of information? Do you need to reinforce the benefits of being here? Are they here to – Network, Set Goals or Relax? Pro Tip – Plant a seed of Co-operation! In my Opening speech I always like to plant a seed of co-operation. This is a message that we need to work together to keep the event running on time. That running on time will enable all the Speakers to do their full presentations and if they do, YOU will gain maximum benefit from being here. You are busy people, it’s a packed agenda, we want you to gain a lot from being here and we want to finish on time etc. I also reinforce this at certain times during the event by thanking them for their help. Depending on what’s happening next, this is a good moment to either slip in any urgent Housekeeping or close up your opening and introduce the first activity or speaker. I often would use an appropriate quote or a mention of the Theme again, taking it back to Big Picture. 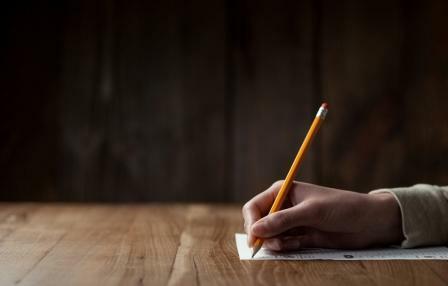 This 3 Part Process will give you a good basis to start writing stronger Openings. Part 1 gives you the WHY, the reason for the event and the outcomes you are aiming for. Part 2 adds the details that must be incorporated. Part 3 gives you a structure for the opening. It’s amazing. Thank you lots. I am really thankful for the good tips! Now i feel ready to preparing a good speech. Stay blessed!